Get ready for Gift Card Season! The holidays are just around the corner and it's time to start thinking about holiday gifts. If you like to give out gift cards, Danielle is sharing this fun way to dress them up! 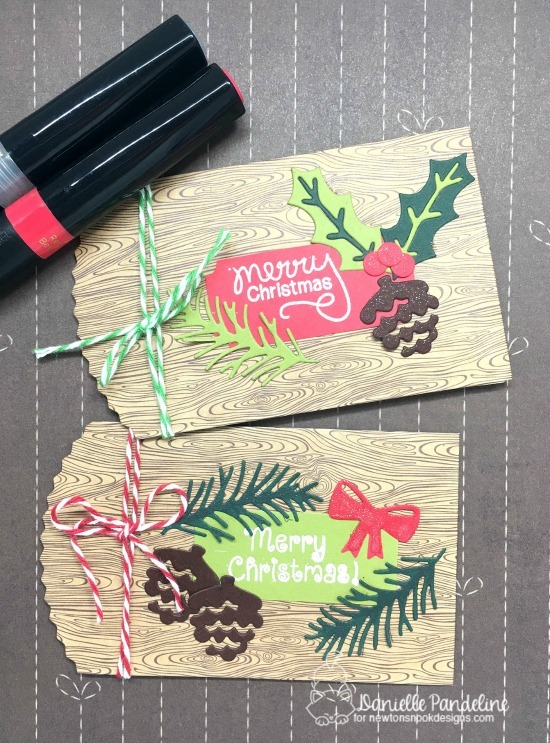 She used fun little woodgrain envelopes and embellished them using our Pines & Holly Die Set. This set has so many fun little elements to mix and match. Danielle used the little holly leaves and pine boughs along with the pinecones and bow to make these envelopes so cute! Then she added the words "merry christmas" embossed in white from two different sets, the bottom one is from the Beautiful Baubles stamp set and the top one is from the Holiday Tweets stamp set. Then, of course, she finished it off with a bit of sparkle added! What a fun way dress up those drab gift cards! 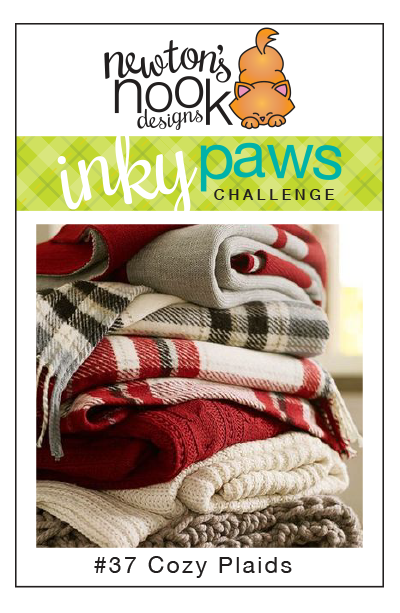 Our challenge closes TONIGHT, Friday, November 4th at Midnight CST time. To enter, all you need to do is create a card or project using a plaid and NND products! These are just adorable Danielle, what a great idea!